Here at The Mane Attraction we pride ourselves in carrying the top and best line of beauty products. Whether it is hair care or makeup, we stand by the products that we carry and use on our clients. If we do not believe in it then we do not sell it. Our #1 goal is to please our clients and deliver our best work to them every single visit. Some clients come to us and say they are simply scared of using products on their hair because they are afraid of damaging their hair with products or they are simply not aware of how to use them. We love giving our clients tips, tricks, and product knowledge to help them achieve the same look at home as they received here in the salon. So, what are our favorite products you ask? Let’s start off with our favorite styling line. 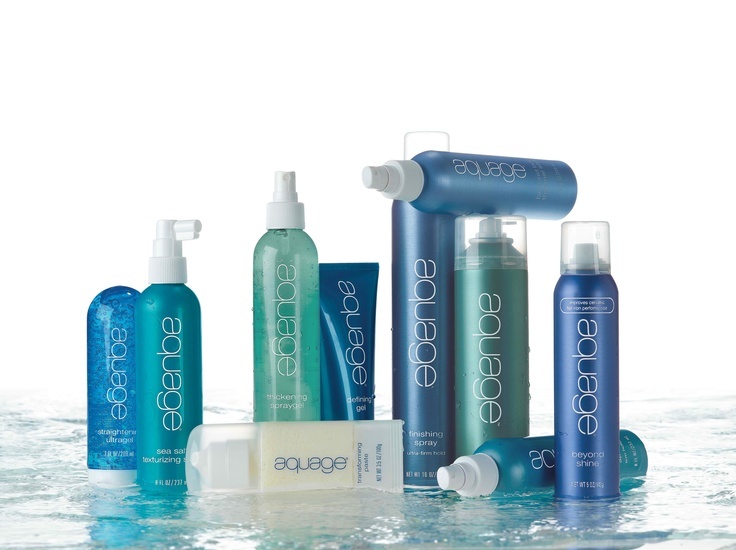 Aquage has been our favorite along with many of our client’s favorite styling products for quite some time. The volume, shine, and texture from their products will have you checking out your reflection in the mirror all day! Many of our clients come back to tell us how long of a wear they got out of their style as well as all the compliments they received! We use this line with all of our formal and none formal looks because of the amazing volume and shine it gives the hair. What is another favorite line of ours? 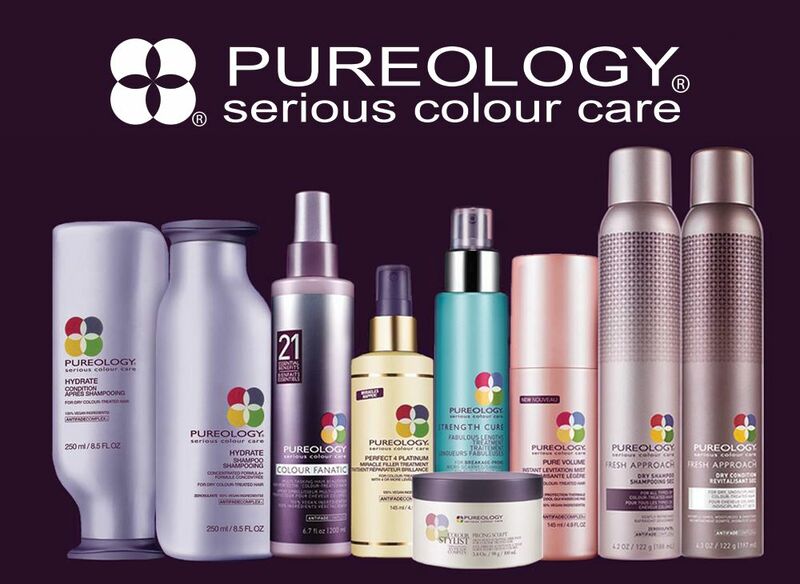 If the softness and shine of Pureology doesn’t have you hooked then the smell is sure to have you wanting more! So many of our clients have come to us with dry, damaged hair and with the benefits from Pureology their hair has never felt better. Atleast once a day we get the question, “What kind of shampoo is that? It smells amazing!” If your hair is in need of saving then Pureology is for you! Along with hair care we also carry the makeup line, Mirabella. Our clients love this line because it is a mineral based makeup line. Many people have very sensitive skin and are prone to breakouts especially when they wear makeup. Wearing a mineral based line can help prevent breakouts and is much gentler on the skin. From natural looks to more intense looks, Mirabella can offer both! It is a full makeup line that offers anything from foundation and bronzer to lip stick and lip liner. Mirabella even offers their line of brushes which we are in love with! Have you ever wanted to try a new look but you were sure how to achieve it? Let us help you and offer some great makeup tips and tricks that we have been trained to do. What are you waiting for?! Come check out all these amazing products!